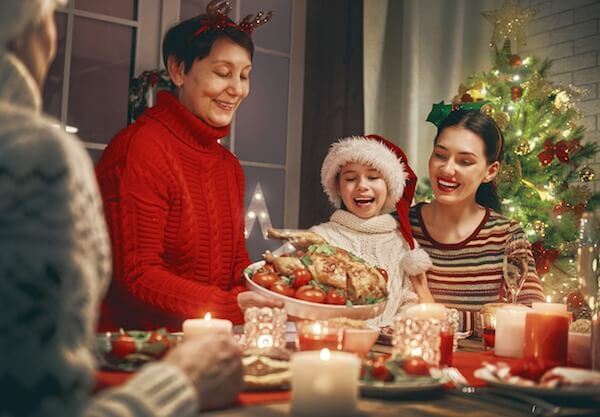 With Thanksgiving here and Christmas is right around the corner, you may be looking for new ideas to spice up the holidays and give your guests something out of the norm. If you’ve been hosting the Holiday party year after year, why not try to dazzle your guests with something they haven’t seen? Here are some decor ideas that will leave an impression on your Holiday guests. The first impression your guests get when they arrive is your walkway. Why not use it to get them in the holiday cheer before they even walk through the door! Decorate your walkway with mason jars filled with lit candle sticks. Many people today use the battery powered candle sticks as they are a much safer alternative and require less maintenance. Fill the jar partially with Epsom salt to make it appear as if the candles are in snow. Always go with battery operated lights to avoid fire hazards and not upset your landlord or others. Many leases have specific no candle clauses in their addendum to minimize potential fire issues. Although this may sound a bit old fashioned, your door is the last thing your guests see before you greet them. After they walk through your festive walkway, make sure the entrance-way is equally as celebratory. Hang a holiday wreath over the door, and consider using Christmas lights to brighten up the entryway. If you have the space, consider placing two small Christmas trees on either side of the door to create a Grand Christmas entry! This holiday candy is not only good to chew, but it can be used as décor as well. Fill up a glass bowl, jar, or vase with colorful peppermint candies or canes and use them to bring the aroma of the holidays to your Boston apartments. Place the jar at the center of your table, a side table, or the hallway as a special treat for your guests to pick on. The dining table is surprisingly one of the least thought of places to decorate during the holidays. You need not to fill your table with food and drink only; it too can be turned into a fabulous piece of art. Have the center decorated with trimmed greens and cranberries placed inside clear glass jars. This will give the table a classic green and red Christmas theme. Consider a festive table runner to enhance the setup. If you live in a home that has a fireplace, make sure you have some firewood on hand to start a fire. It will give your guests a warm and cozy place to gather around and share laughter and fun. Nothing says a Christmas party like a gathering around a fire with family and friends. You don’t have to restrict the ornaments to just the tree. This year hang some decorations in the windows as well. String the ornaments together and hang them over the window valance, or drape them from the top corners. Alternate the ornament colors as well as the ornament shapes in every string. These will make your home look festive from the outside, and it will bring it to life on the inside. A fun party idea is to place a whiteboard in your living room or entry way where messages to Santa can be written. Ask your guests to add their own messages to Santa on the board. If you do not have a board, get a decorated vase or jar with a “Drop Santa a Message Here’ note glued on it. This year, you don’t have to opt for the same old same old for Christmas decor. Make your home a warm and welcome place by giving these décor ideas a try, and give your guests something to remember!